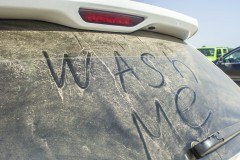 Winter driving – with its salt and sand and general grime – can leave your vehicle a little worse for wear. Thankfully, some simple springtime maintenance will usually be all it needs to recover. 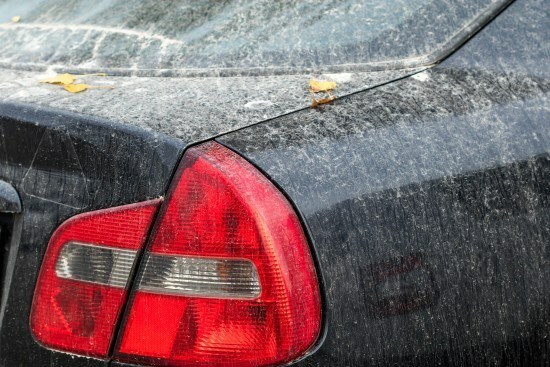 Once the winter slush and mush finally starts to give way to dry streets, you should head for a car wash. While your vehicle should be periodically cleaned over the course of the winter, a heavy-duty spring car wash is needed in order to really remove the accumulated grime from your vehicle’s nooks and crannies. Cleaning your vehicle in the spring is particularly important in places which use road salt, as the salt can have corrosive effects on your vehicle’s colour and metal components. Once your vehicle has been properly cleaned, now is the time to give it a thorough look-over for any signs of damage to the paint. It is not at all uncommon for a vehicle to sustain paint dings and scratches during the winter, and even minor paint damage should be quickly fixed up by a professional in order to prevent corrosion. Not only have you probably used your wiper blades a good deal during the winter, but cold temperatures can damage wiper blades even when they are not in use. Because you’ll likely be using your wiper blades even more to deal with spring rains, you’ll want to make sure that they are up for the job. Replacing wiper blades every spring and every fall is highly recommended. Most drivers know that a vehicle’s battery needs to strain extra hard to work against cold temperatures in the winter, but did you know that summer heat can also take its toll on a battery? Spring is an ideal time to check for signs of winter damage and to get your battery ready for summer. After winter, and also in preparation for warm summer temperatures, you should have your coolant checked to see if it needs to be flushed and refilled. Coolant is crucial for keeping your engine from overheating and for preventing corrosion. Your breaks have probably received quite the workout during the winter, and may now be low on friction material. Even if your brake pads are still in good shape, winter salt and slush has likely coated brake components with grime and washed away important lubricants. A maintenance check in the spring is always a good idea. Winter tires should not be used long after the snow and ice is gone and the temperatures have become warmer, so make sure you switch to all-seasons as soon as spring arrives. The rubber which makes up winter tires becomes much softer in warm temperatures, causing the tires to wear out faster and decreasing your fuel economy. While having your tires changed you should also request a suspension and an alignment check, as ice, snow, and potholes and wreak havoc on both. When it comes to proper car care, being proactive is key. Taking care of minor issues now will keep much larger, more expensive, and potentially dangerous problems from surprising you later on. Recover from winter and prepare for the heat of summer by taking the right steps in the spring.